Enfield Council has provided reassurance in the light of concerns about the amount of parkland that will be occupied by the Broomfield Park wetlands scheme. The finished scheme will occupy only a small proportion of the site that is currently fenced off. Inspired by the wonderful wetlands in Firs Farm, this is our second Firs Farm photography competition. If you've never entered a photographic competition before this is an ideal opportunity to start. The competition will take place as part of the Firs Farm Wetlands 'Get out & Get active' project on 12th May 2019. So come on, get out and capture your Wetlands inspiration! What's your view about events in Broomfield Park? Breathing Again follows Patrick Samuel, an artist with autism and ADHD, as he prepares for his sixth solo exhibition using his local park as inspiration. Shot on location in Broomfield Park, Patrick, accompanied by his emotional support dog Chase, shares what it’s like living and coping with autism, how art has changed his life and why going to the park is such an important part of his daily routine. 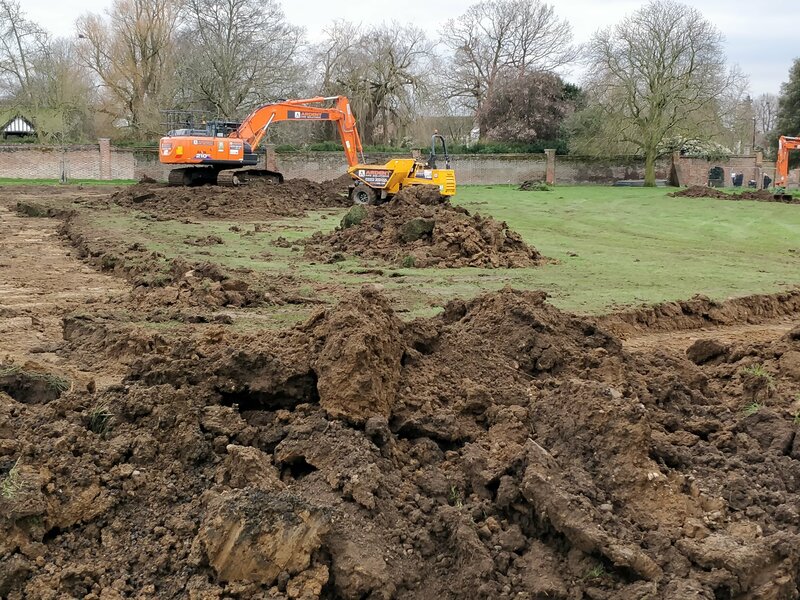 The project to create a wetlands area in Broomfield Park is to be discussed at the meeting of the Enfield Council Planning Committee on 25 September. In the wake of the successful campaign to cancel a planned 24-day long fair, the Friends of Broomfield Park (FoBP) have called on Enfield Council to establish a better system of consultation about future events in the park. Back in March 2016 we reported that a new green space was being created between the New River and Green Lanes between the junctions with Carpenter Garden and Barrowell Green. A campaign against a planned funfair in Broomfield Park which would have lasted for 24 days has been successful. An Enfield cabinet member has written to neighbouring residents stating that the fair will not be held this year and that the council will be applying tighter conditions on future funfairs and circuses in the park to address the various issues raised by campaigners. This Sunday, for the eighth year in succession, a rather special garden is open to the public, raising money for the upkeep of the plants in Broomfield Conservatory. Broomfield Conservatory reopens on Sunday after some long overdue repairs and repainting. As well as giving you a chance to catch up on the progress of the bananas and the many other wonderful plants, there's a talk about carnivorous plants given by Jean, one of the Friends of Broomfield Park volunteers whose special duty is to look after the collection of insect-eaters.